Organizer: China B & D Exhibition Co., Ltd.
Stone China 2009--China International Stone Products and Equipment Exposition will take place from Mar.4th to Mar. 7th, 2009 at China International Exhibition Center (New Venue), Beijing, offering a perfect platform for the information exchange, business cooperation and face-to-face communication between professional visitors and exhibitors. 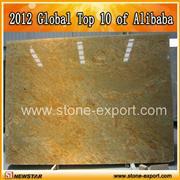 Stone China gets you in touch with Asia's markets for quality stone products and equipment. Different from other stone exhibitions, Stone China basically orientates in B to C trade between the companies within stone industry as well as consumers from building industry, such as contractors, designer / architects, building decoration companies, distributors, land developers, etc. and provides a comprehensive and high-standard trade platform for the companies in every segment of stone industry. largest and most comprehensive event in North China and one of the top stone events in East Asia for its economic power and international-oriented strategy. - Driven by the speedy development of domestic building industry, the annual domestic consuming amount of stone will surely maintain over 250 million sq.m , in which the building decoration stone accounts for the largest percent . - At present, the annual increasing rate of the stone products' import and export volume continues to hit double digit percent, with the importing of 40 million sq.m. and the exporting of 90 million sq.m. Most of the importings are used for building decoration. 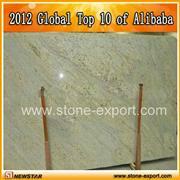 Marble rock, granite rock and marble panel accounting for 95% approximately. Stone China 2009 will put forward an effective and feasible communication plan to invite the expected attendees all over the world. The strategic combination of the publications related to the industry, mass media, and online media would accumulate a great advertising momentum for the exhibition. ---Information materials including hall layout, event schedule, seminar overview will be sent out to 80,000 potential visitors before the show. ---About 150,000 complimentary tickets and 60,000 e-invitations will be sent to potential attendees. Promotion of International Trade, China Building Decoration Association, China Chamber of Commerce for Stone Industry. Why Attend the Marmol in Feria Valencia? How to Make the Most of Showing at Feria Valencia? How Do You Reach Your Goals at MARMOL? Why Participates the Expo Revestir?